If you have a little girl and you're anything like me, you probably have a bow to match every single outfit. I have dozens of them, but the problem is they are so small they are easy to lose in the bottom of my accessory basket. But thanks to Sugar Plum Fairy Bows and their adorable monogrammed bow holders, I will never lose a bow again and they will always be right within my reach. For our review, I received two different bow holders. The first is the tutu holder, and it is absolutely adorable. Along the skirt part there are several strips of ribbon which you can attach your bows to. They clip on easily and stay firmly in place. The bodice part of the tutu can be monogrammed with your child's name. The tutu holder is available for only $40 and makes a wonderful decoration that is not only cute but functional. If that is a little to high, then you can also consider the monogrammed bow holder. 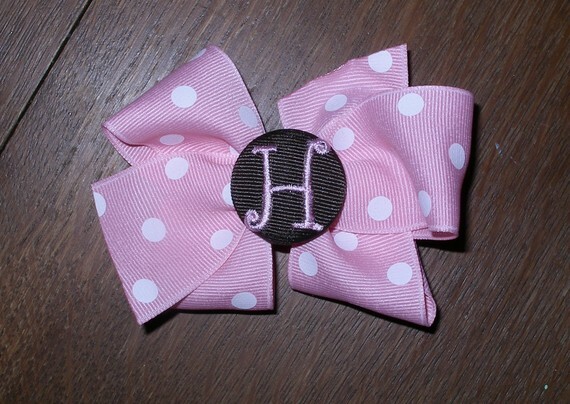 This is a monogrammed bow in the color of your choice with your child's initial that has a long ribbon attached. It works just as well, but is smaller and takes up a little less space. In addition to bow holders, you can also find lots of other monogrammed items at Sugar Plum Fairy Bows. 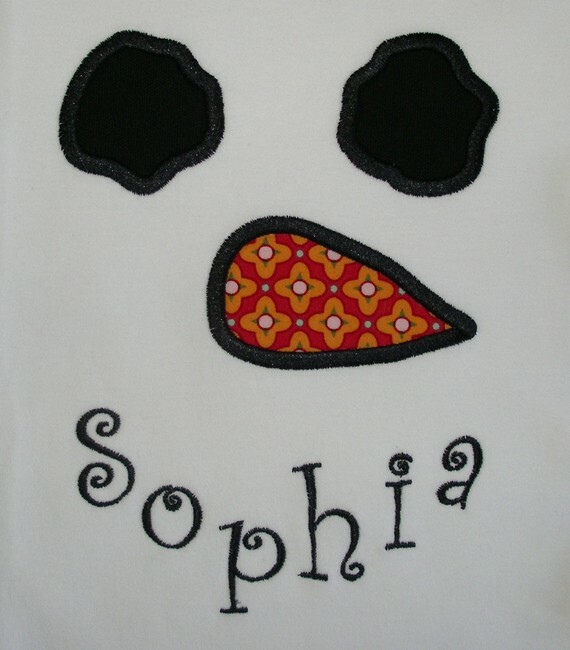 They have adorable applique t-shirts, onesies, hats, aprons, and of course, lots of monogrammed bows to hang on your bow holder. All of their items are made with the kind of quality and uniqueness you can only find when its handmade. They will make a wonderful gift for birthdays or baby showers. One lucky winner is going to receive a monogrammed bow holder of their own. To enter, just visit Super Plum Fairy Bows' Etsy shop and tell me another item you would love to have. For additional entries you can do any of the following, but you must complete this initial entry first. Any entries that do not follow these guidelines will be deleted. This giveaway will end at midnight on 1/30/11 and is open to the US only. The winner will be chosen via a random number generator. Thanks again to Sugar Plum Fairy Bows for offering this great prize! 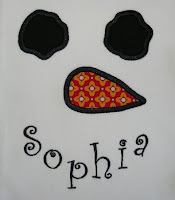 i love the appliqued ladybug or cupcake shirts. so cute! i hearted the shop as a favorite on Etsy. I love this: so cute! 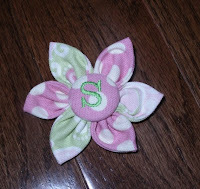 I love the Personalized Tutu Bow Holder - Barrette Holder - Child - Girl - Birthday - Blip Pink with hot pink accents. I really love the cupcake apron! I would love to have the Personalized Tutu Bow Holder - Barrette Holder - Child - Girl - Birthday - Blip Pink with hot pink accents from her shop too! I added the etsy shop to my favorites - emillie p.
I like the Monogram Crochet Hat w/Monogram Ribbon Flower Clip. I follow on twitter and shared this giveaway using the link above - hisprincess886. I follow new age mama on facebook - emillie rose. 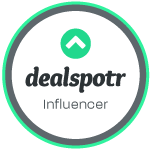 I Follow your author blog - gfc - emillie. I follow your author page on twitter - hisprincess886. I follow your author page on facebook - emillie rose. I'd love to have the Custom Boutique Letter with Crystal Crown Applique Shirt - Birthday - Girl - Child - Monogram - Chocolate Rascal with Blip Pink. I like the necktie onesies. I would love to have the Boys Heart Necktie Applique Shirt - Valentine - Child - Custom - Personalized for my son! I heart the Sugar Plum Fairy Bows Etsy shop! Id also love one of the reversible monogramed headbands! 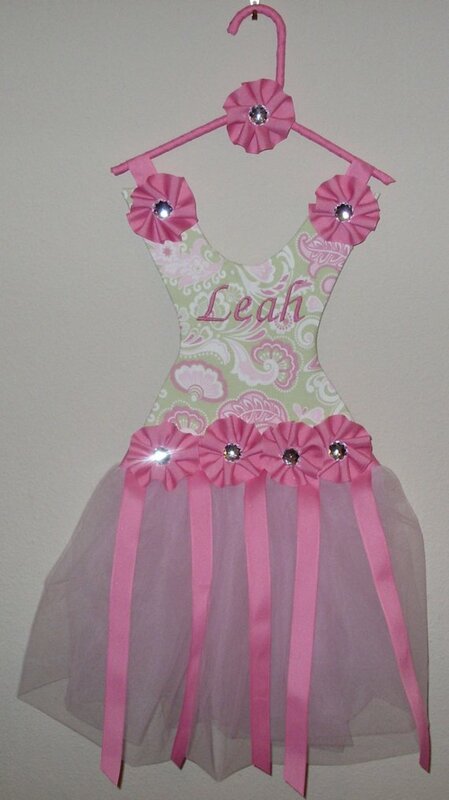 I would like the Personalized Tutu Bow Holder - Damask Pink Brown Fabric. I love the Custom Boutique Personalized Cowgirl Hat Alphabet Shirt. I follow on Friend Connect. I'm a friend over on Facebook. I'm also a fan of New Age Mama over on Facebook too! I would like to have the "Custom Boutique Ladybug Applique Shirt - Child - Girl - Personalized - Birthday - seeing spots coco with blip pink"
I would love to have the Monogram Kanzashi Folded Fabric Flower Hair Bow. It is so cute and I have a grand daughter coming in april. I befriended you on facebook. I liked New Age Momma on facebook. I hearted SugarPlumFairyBows, user name gkran. Love the Custom Boutique Strawberry Applique shirt, so sweet! I follow your other blog via GFC.